I try to offer only healthy food options to Amelia. No sugar, salt and processed food. It has not been easy though. 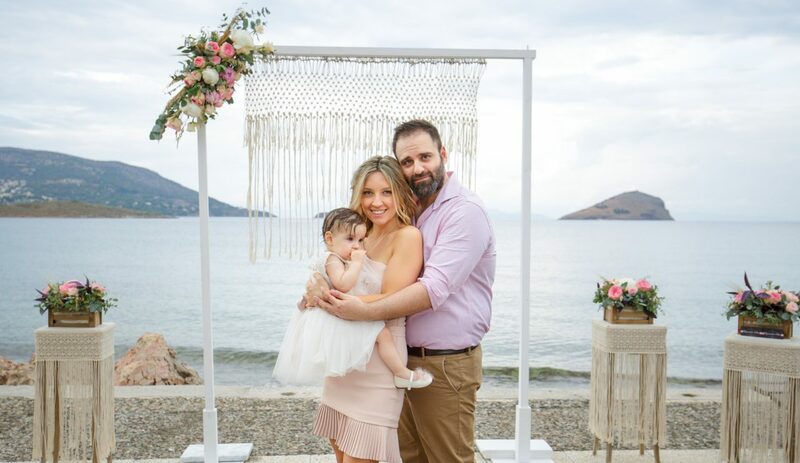 Living in a Greek family where everyone has an advice to give me, sometimes made me feel unsecured about my parenting style. Questions like ‘This poor baby needs some sweet too after her meal.’ or ‘How is she gonna eat her food unsalted?’ hit me everyday. So, I haven’t been able to keep her totally away from what I consider wrong, but it is ok because kids need to be spoiled by their grandparents too. Today I am sharing some snacks and breakfast ideas that I often offer to Amelia. Her breakfast always has some protein combined with fruits or veggies. When she was a baby she had an egg allergy, she is fine now, but doesn’t like to eat eggs, unless they are in a recipe. It is possible to make these pancakes with only an egg and smashed pumpkin, but I add more ingredients to make them even more nutritious. Instead of pumpkin you can use sweet potato as well. Mix all the ingredients together and cook the pancakes in a preheated pan for 3 minutes each side with butter or coconut oil, in medium heat. This one is so delicious! It actually tastes like a pancake if you let the break soak in all the mixture. Mix all the ingredients and let the bread soak in all the blend then cook the bread in medium heat. Enjoy with maple syrup or honey (for toddlers). I took this recipe from this Greek facebook page https://www.facebook.com/groups/baby.nutrition/. The cookies are really soft, perfect for little kids, but we enjoyed them too. Mix all together with a spoon. Drop cookies by teaspoonful about 2 inches apart on greaseproof paper and cook in preheated oven at 338 degrees for 10 minutes. Enjoy! Hope you liked those ideas and tell me if you want me to post more recipes. I have so many! Your recipes make me want to be a kid again with you for a mother! Oh thank you so much!! You are so sweet. Happy holidays! !